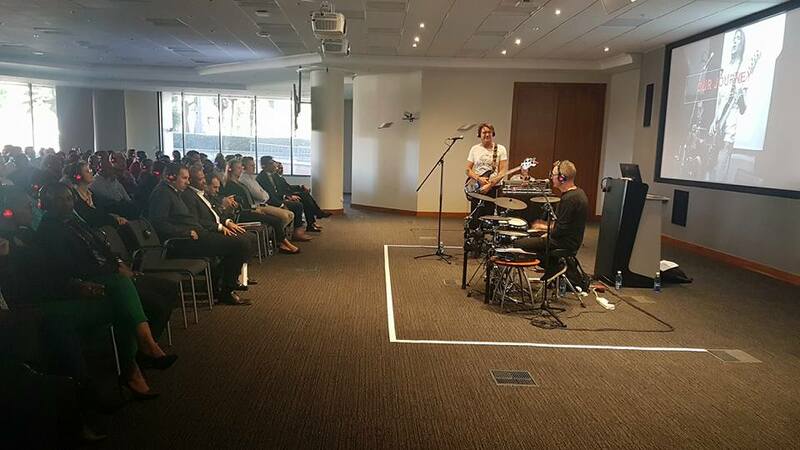 Last week presented us with the opportunity to work with legendary South African musicians, Barry Van Zyl (Johnny Cleggs’ band) and Josh Hawks (from Freshly Ground) at an Investec in Johannesburg. 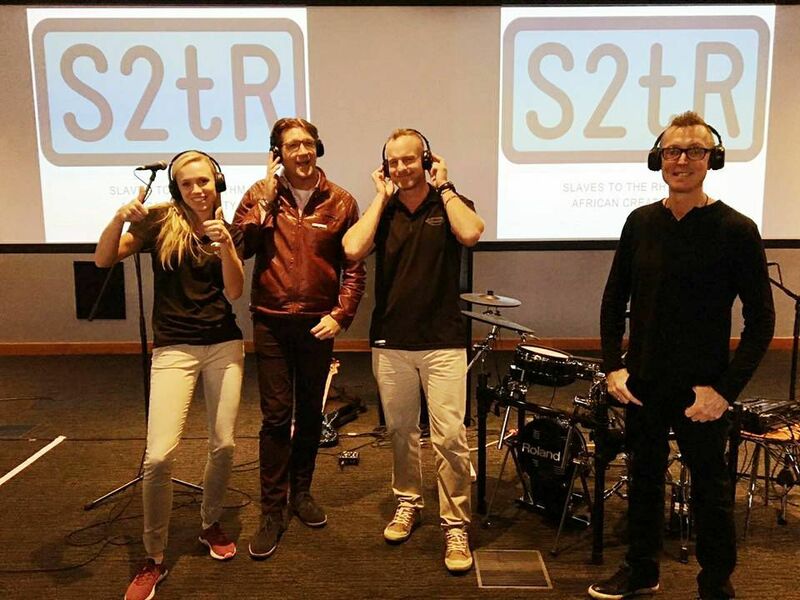 Slaves to the Rhythm (S2TR) is a brand new concept in edutainment exploring African creativity through a musical journey. 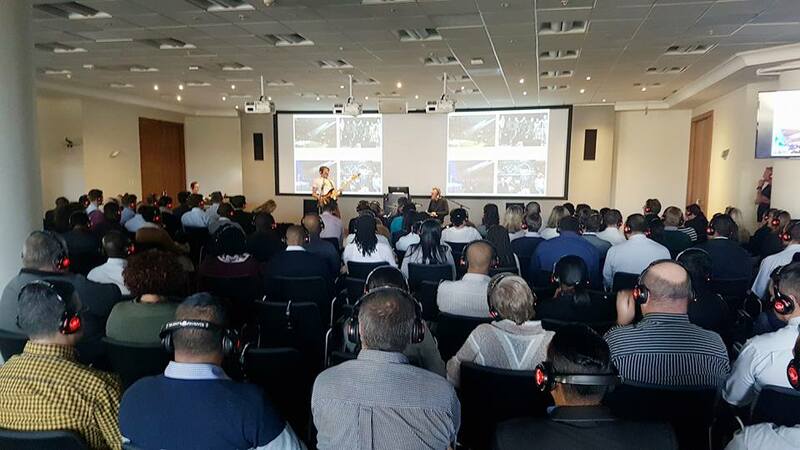 The whole event was presented to the 260 Investec delegates through our Silent Events wireless headphones – the first time this has been done in the country! The band mics up (as they always would) and then we plug into the mixing desk to project the music to all the delegates in the room. The drum kit is electric, so the rest of the office employees (those not wearing the headphones) don’t hear a thing. Innovation and collaboration at it’s best! Thanks to all involved.